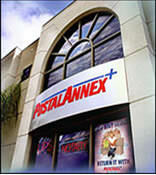 Incorporated Name: Annex Brands, Inc.
Over 15 years ago PostalAnnex+ was founded and opened an initial three stores. 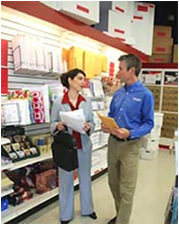 Today, PostalAnnex+ is America's largest franchise network of retail shipping and business centers. Each franchised location serves an ever growing customer base of businesses large and small as well as the individual consumer. Each of our locations offers complete shipping options from whole-house moving to overnight document delivery. Customers love us because there are so many services offered under one roof. PostalAnnex+ provides a comprehensive range of shipping and business-related solutions for consumers and businesses of all sizes. We are America's Home Office. As a PostalAnnex+ franchisee you will be providing those in your community with a variety of services from one convenient location. These include private mailbox rental, high-speed copying in black & white and color, faxing service, office supplies, 4-color printing, key duplication, notary public service, greeting cards, assorted gift items and more, all in a convenient, service-oriented environment. "We joined PostalAnnex+ over 20 years ago and they are just like family. I know all my customers...they're just like friends. I know the community. I know the organizations. It's just good fun." "We get our business from the community and we give back to the community. And that's the way I run my business. I get involved with my community, the silent auctions, and any activities at the churches. I make sure I get involved. I get my name out. It is the best advertising you can do for your business. "Ours is a family- owned business. I have two boys and we wanted something we could work on together and eventually let them have. PostalAnnex+ was the perfect opportunity. PostalAnnex+ is currently accepting inquiries from the following states: Wyoming, West Virginia, Wisconsin, Washington, Vermont, Virginia, Utah, Texas, Tennessee, South Dakota, South Carolina, Rhode Island, Pennsylvania, Oregon, Oklahoma, Ohio, New York, Nevada, New Mexico, New Jersey, New Hampshire, Nebraska, North Dakota, North Carolina, Montana, Mississippi, Missouri, Minnesota, Michigan, Maine, Maryland, Massachusetts, Louisiana, Kentucky, Kansas, Indiana, Illinois, Idaho, Iowa, Hawaii, Georgia, Florida, Delaware, Washington, D.C., Connecticut, Colorado, California, Arizona, Arkansas, Alabama, Alaska.